Our mission at Ramah Darom is to offer exceptional experiences in Jewish living and learning for youth and adults, families and communities year-round. The Annual Fund is the lifeline that enables us to make these opportunities available to as many people as possible and is vital to the success and continuity of virtually every Ramah Darom program. More than 50% of our campers received financial assistance last year, and we anticipate this demand to continue. With your help, we can ensure that affordability is not an impediment that prevents people from experiencing the best in Jewish camping. More than a campus, Ramah Darom is a magical place where thousands of children and adults have called home. Your support of the 2019 Annual Fund ensures that a lifetime of memories and connections are made in an accessible, safe environment, nourished by trained and passionate staff. Our list of programs continues to grow, offering a variety of incredible opportunities for everyone to explore their passions and interests through a Jewish lens. Throughout the year, program participants of all ages form lifelong friendships, gain new skills, and explore the beautiful traditions of Jewish life. Since 1997, thousands of people of all ages have explored their passions and interests, developed lifelong connections, and shaped their Jewish identity at Ramah Darom. Children and families learn about Jewish values and become more connected to their Jewish identity. Social networks expand to include friends from every state in the Southeast and beyond. Israel is where beloved counselors and staff live and where you want to visit – as soon as possible. Help us continue to strengthen community, inspire growth, and develop the next generation of Jewish leaders. 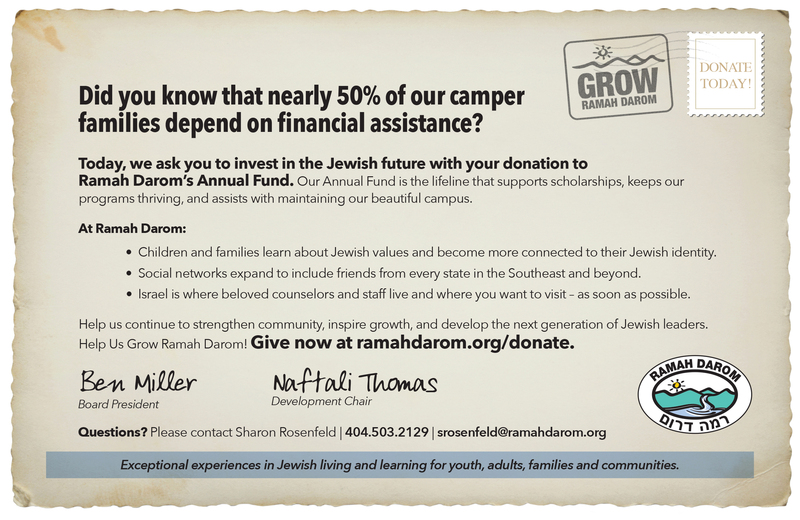 Help Us Grow Ramah Darom! 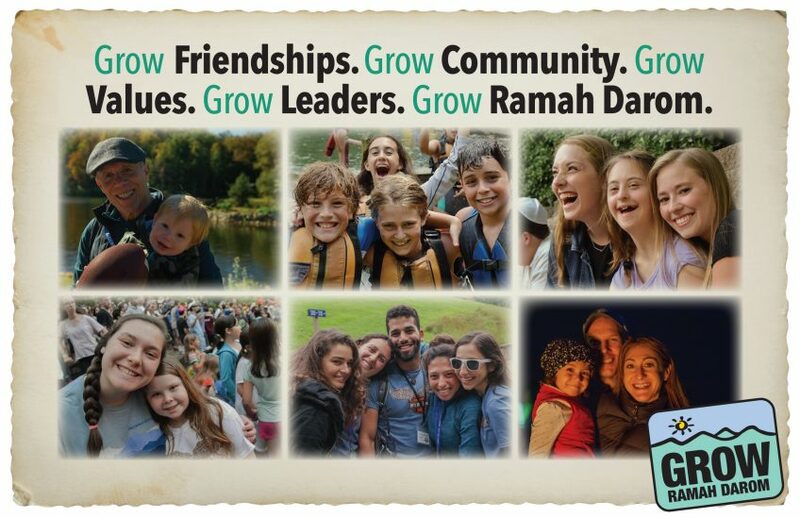 Thank you for supporting Ramah Darom and being an essential part of the continuity of our camp and programming.